You searched for which does not fit your . We've redirected you to 151-291, which has the proper fitment. This item is great. It keeps the cold wind off of your neck and the back of your neck as well. I used it in 40 degree temps and I didn't feel any coldness on my neck. Great item and I recommend it for cold weather riding. I purchased this one because another reviewer had stated the other Dickie was to tall. This one fits perfectly between my collar and helmet. It definitely keeps out the cold air. I'm Going to buy another one for my wife. Now have a short and long one good deal !!! Bought this for my hubby and he LOVES IT. 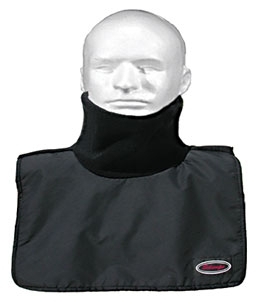 It's great for blocking the neck wind that always ends up down your collar or under your helmet while on the bike. He even wears it to work when he is going to be outside in the cold or weather. It keeps him warm and dry without adding all the bulk of layering on extra clothes, plus it's easier to remove than clothing layers when he comes inside.